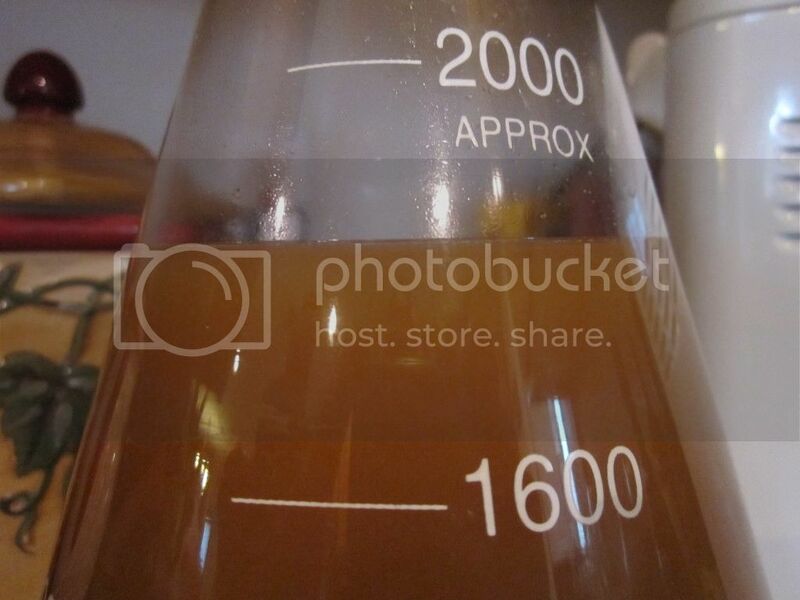 I made a just under 2000ml yeast starter with 2 vials of my harvested 007 yeast which was 4 months old. The starter is at 1.038. After 14 hours, I have nothing going on. 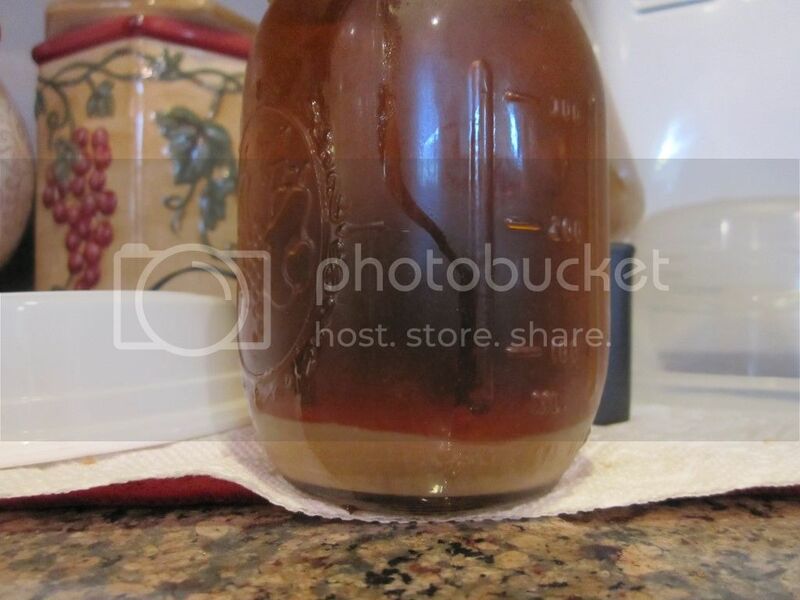 When I first started working with yeast, I had a few like this that I used anyway and they worked but not very well. Since I'm not going to be needing it for another 24 hours, I definitely have time to see what will happen but if I still see nothing, should I use it? Other info is that I accidentally added a bit more Fermcap to my flask on the stove when making the starter. I've read it might lessen the krausen but don't know if it would eliminate it either. Here's what it looks like after 14 hours as well as a 3 month old jar of the 007 from another beer I can add to the beer if it looks like this is a dead starter. Guess I could take a gravity reading before pitching and see where it is, that would tell me something. Wait it out. I'm have had it take a day or so before. You should see action in the wort. Odd that 45 minutes after writing this, I have a very small, white lining starting to form. Guess I'm a bit too OCD with yeast though I've had better luck with this same yeast that was 7 months old. I really think the Fermcap has something to do with this. IME the ferm cap definitely reduces krausen formation in a starter, since I use a flask that's why I use it, otherwise I get krausen volcanos! I've used it for years but not an overdose of it. I am seeing much more activity and guess I was even more impatient than I thought I was. I almost always see something in 24 hours and got skiddish when I didn't and thought maybe the yeast was completely dead. I likely won't be able to cold crash and decant but that's ok. This has absolutely been my experience as well. You still need to be a little careful when stirring/shaking up the flask to aerate the flask. Sorry, I thought I had posted about it......it was perfect. I didn't have time to cold crash and decant but it was going well. Not as much krausen likely due to all the extra Fermcap but in all my years of brewing, I've never had airlock activity within 4 hours before. A week later I checked gravity and it's almost done but so far, I'm pleased. Of course I wont' really know for sure until it's completely done. It's a Coconut IPA and I still need to dry hop as well as add more coconut in the keg while its carbing. coconut oil solidifies at a high temp so cold crashing it in the keg should allow you to remove all of the solidified oils before serving.